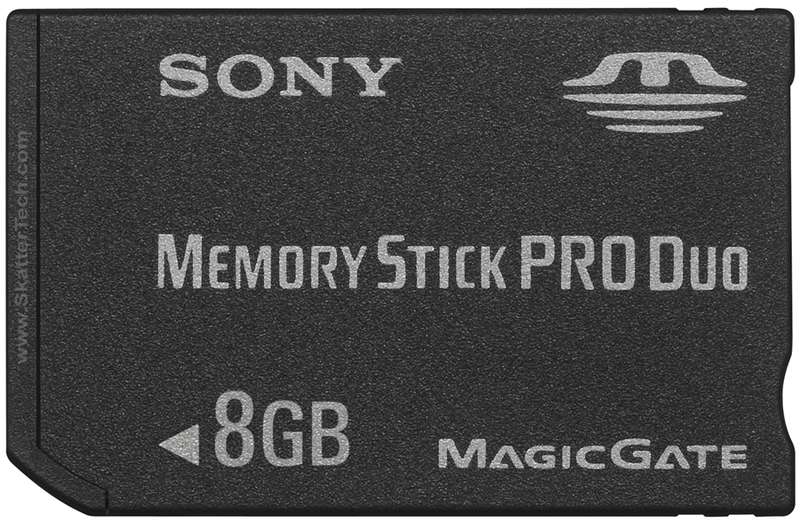 Two weeks ago at the Consumer Electronics Show (CES), Sony announced the long awaited 8GB Memory Stick Pro Duo. The card weighs less than two grams and is only 0.79 inches wide and 1.22-inches long. The Pro Duo card will work with plenty of Sony’s hardware media products such as the PlayStation Portable, PlayStation 3, Mylo, Sony Ericsson phones, and Cyber-shot digital cameras. Although this is good news for many, the current price isn’t. According to Sony, the 8GB Memory Stick Pro Duo will be on store shelves next month (Feburary ’07) for a retail price of $300! Unless you absolutely want this much storage, we don’t reccomend wasting this much money on it since it costs about $100 more than the PSP itself. Prices should drop as soon as third-party companies such as Sandisk begin to manufacture these cards, however this may a while. As for now, prices on smaller capacities are getting quite cheap. You can now get a 1GB card for as low as $25 and a 2GB card for about $55. P.S. At least the price is much lower than it originally was. During CES 2006 when the 4GB model was originaly released, the expected cost of the 8GB model was around $800! I have the Pen drive of 8 GB which i use to carry my various downloads like MP4 downloads so i don’t need it now.